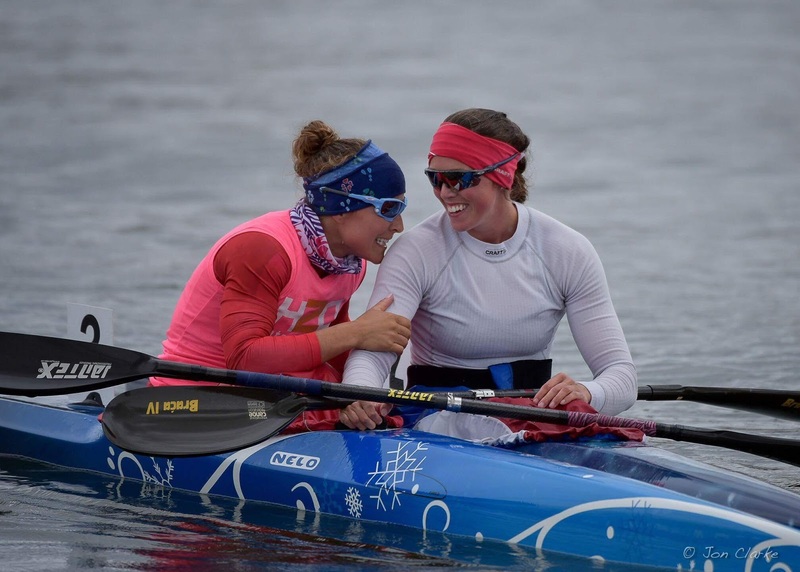 Lissa Bissonnette is a Canadian Kayak athlete training out of the Pointe-Claire Canoe Club in Montreal. Currently, Lissa has her sights set on the Tokyo 2020 Olympic Games, as she was next in line for the 2016 Rio kayak team. Lissa trains up to 16 times a week with some of the top canoe and kayak athletes across Canada and the world. event; 3 times Canadian Champion; has represented Canada at over 10 International competitions. Busy schedule, right? Lissa is also an active ambassador for Fast and Female, and Sensi Bikini Graves. She is currently finishing her Bachelor of Education, with a focus on Mathematics, AND is a Mountain Equipment Coop employee. Safe to say - her time management skills are spectacular! Learn a little more about some of #TeamInfinit athlete Lissa Bissonnette's favourite things below! Athlete: Roger Federer, I love how he behaves on and off the court. He is a true example for all the athletes and for the future generation. Also, he is born in December, like me. Movie: All the Disney classics; Lion King, Alice and Wonderland, The Little Mermaid, Pocahontas. Song: Before a race, I always listen to AC/DC (T.N.T.) before getting on the water. Food: I love getting messy or playing with my food so a good BBQ or smoke ribs are the best to get messy. Cheat Meal: Guilty pleasure at the end of a long training camp I often go get a box of Captain Crunch to satisfy my sweet tooth or a box of Decadent chocolate chip cookies. When I was a kid I always remember my grade 1 teacher teaching us to write in those calligraphy books and I am still amazed that I remember my grade one teacher’s name Madame Annick. So I believe she made me want to be a good memory in the future of some kids. 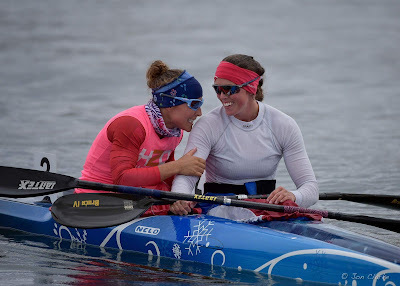 Winning is always memorable, but my favourite moment is when I qualified for the first time to race the K2 500m at a World Cup event with my partner at that time (Nicole Brown). It wasn’t my goal of the year, we just wanted to go race at national team trials and have a good race. When we crossed the line we were 2nd. It was the first time I realized that I could be an Olympic athlete one day. It was the beginning of my 2020 Olympic dream. Being able to juggle supply teaching, finishing my degree as a Mathematic teacher, being active in the paddling community, training about 25~30 hours a week and still have some time for a social life. To me this is an accomplishment. It’s maybe a cheesy answer but my parents are my heroes. Because they taught me to set my priorities and my goals to achieve what I want. It means so much, but briefly, being an athlete means being dedicated. Athletes face early morning practices, late nights, lack of sleep, hard workouts, hours in the weight room, studying technique and much more. We are expected to give our all, all of the time, even work on skills on our own time. Once they excel in all that, they become what I call «mentally strong» which means they are ready to strive through every condition that life will throw at them on the important day. I give myself some small daily goals for each training to make sure I am satisfied and proud of what I am accomplishing. Every small victory brings me one step closer to my Olympic dream. Representing Canada at the Olympics and making it easier for athletes to continue their education degree while performing in their own sport. I remind myself of my work and goal every practice for the big day race day. The day of my race, I usually wear my lucky yellow shirt underneath my racing shirt and for warm up. It’s a tradition I started with my coach when I moved for training in Montréal. 10 minutes before leaving for my race I put on my ritual T.N.T. from AC/DC as my pump-up song. Then, I’m ready to enjoy my race and go have fun. I think it would simply be my teammates. We are a good group of ladies that push each other to get better together. I wouldn’t trade them for anything, and they are the best in our country. I started alpine skiing when I was only two years old. In the summer, I will have approximately paddle 10 times a week, 2 run practices and 3 to 4 weights. In the winter, when I’m not down south in training camp I do lots of cross training like swimming, running, cross country skiing, paddle machine and weights. 6:00: Wake up & make a pot of coffee (a lot). I sit on the couch and watch the local news. 13:00: MEETING time – I usually meet with my nutritionist, my sport psychologist, the performance analysist / the IST team.